They are DIFFERENT in that they have contrasting black handles. These custom logo tote bags have 20" handles and 7" gusset, and are available printed in one location with your one color logo. 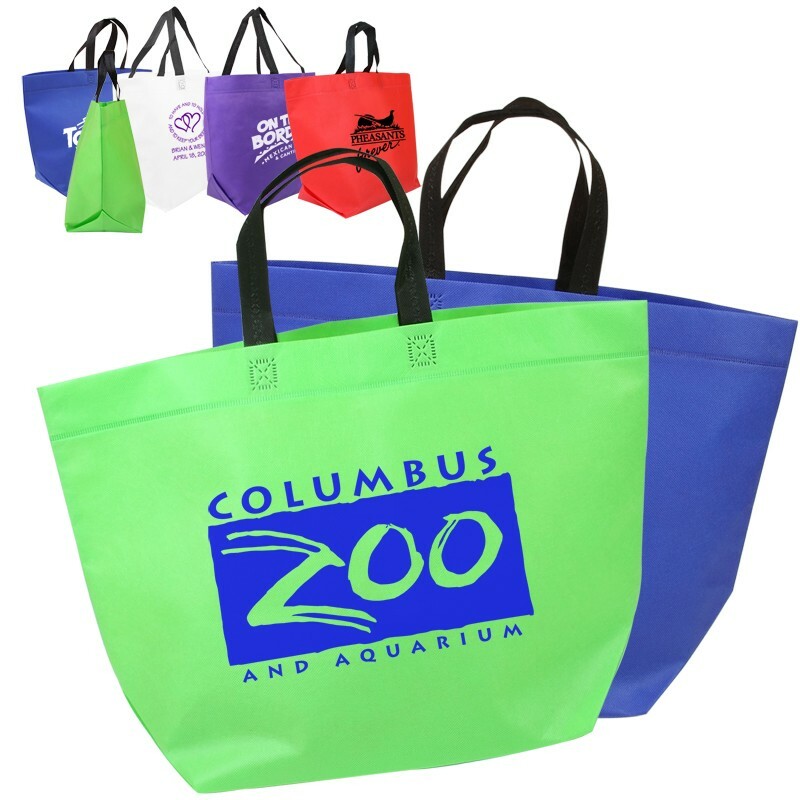 Do you need promotional products or totes with more colors or imprint areas? We can provide a custom quote on this item or thousands of others to your exact specs, so call or email us anytime!